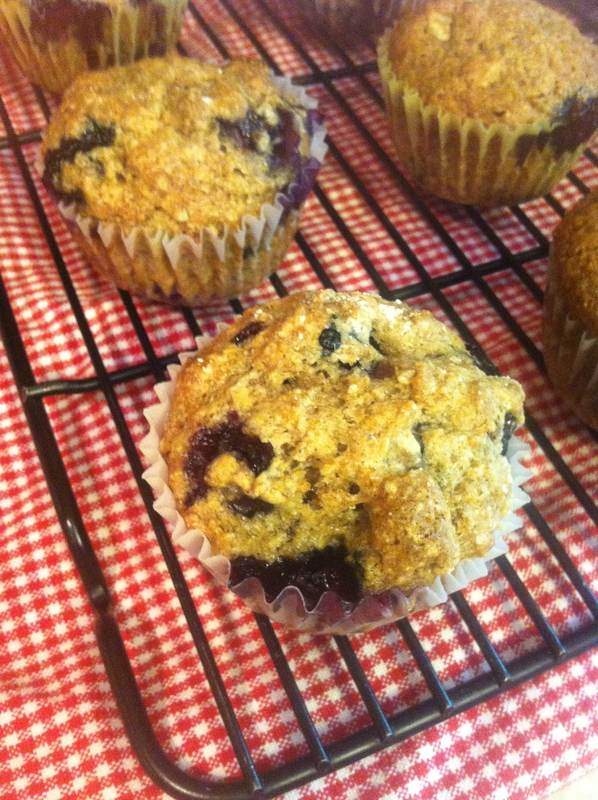 Theo and I came home with a bucket full of delicious blueberries the other day, and while he requested we make a pie, the first thing I wanted to bake were some muffins (I’ll tackle the pie tonight). I’d been scouring the internet for a new recipe, but the local fruit farm where we picked the berries happened to have a stand full of their recipes that you could take for free. 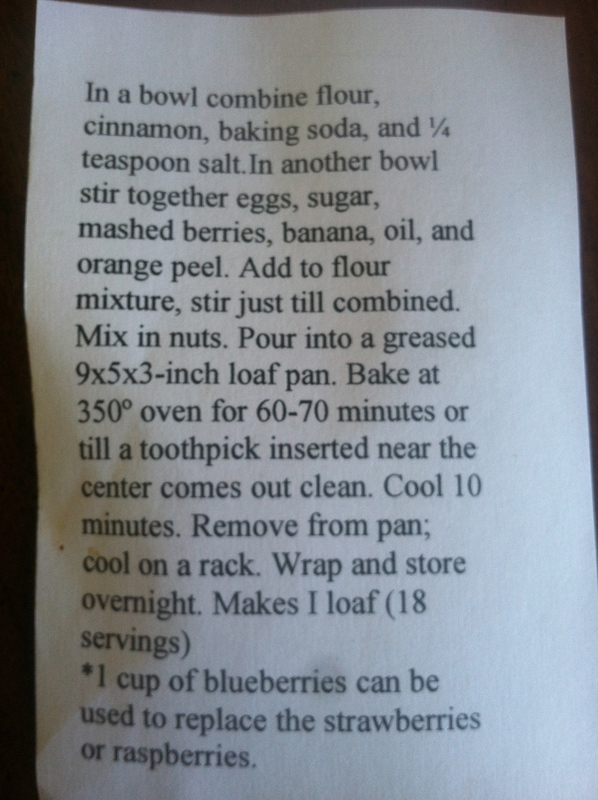 I chose their recipe for strawberry banana bread, knowing that I would simply sub the blueberries for strawberries, and make muffins instead of loaves. 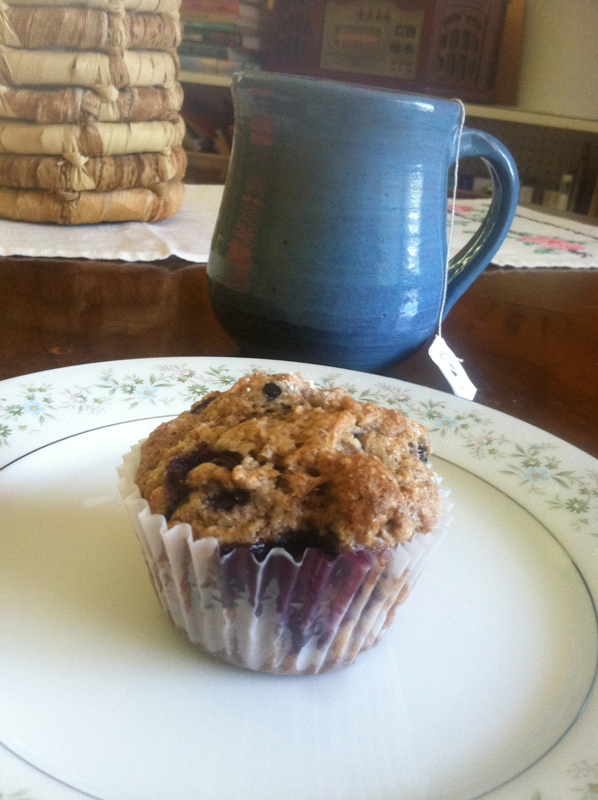 I have to tell you, this is probably the best muffin recipe I’ve made to date. Full of berry flavor, tender and moist, yet also loaded with healthful ingredients thanks to a few substitutions I made. 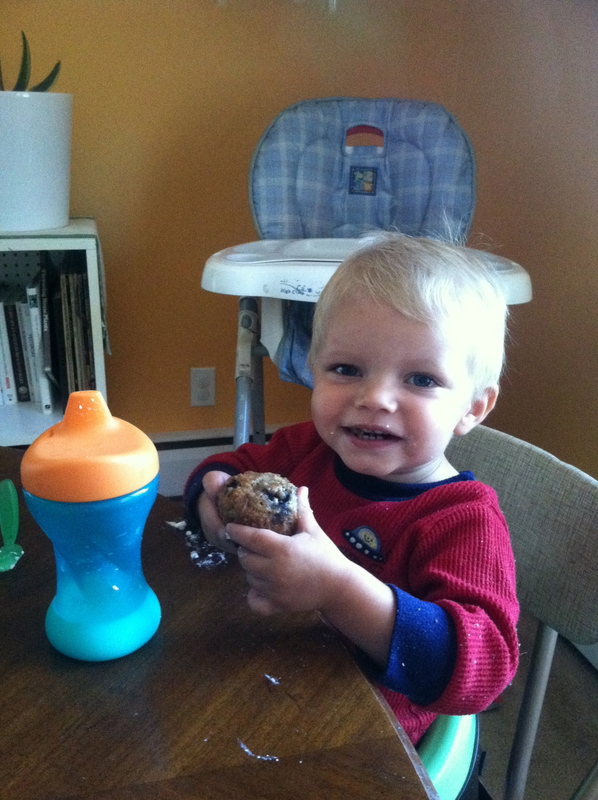 Often time, my muffins are too “healthy” tasting for my boys preference. These, however, were gobbled down by all four of us in less than 12 hours. 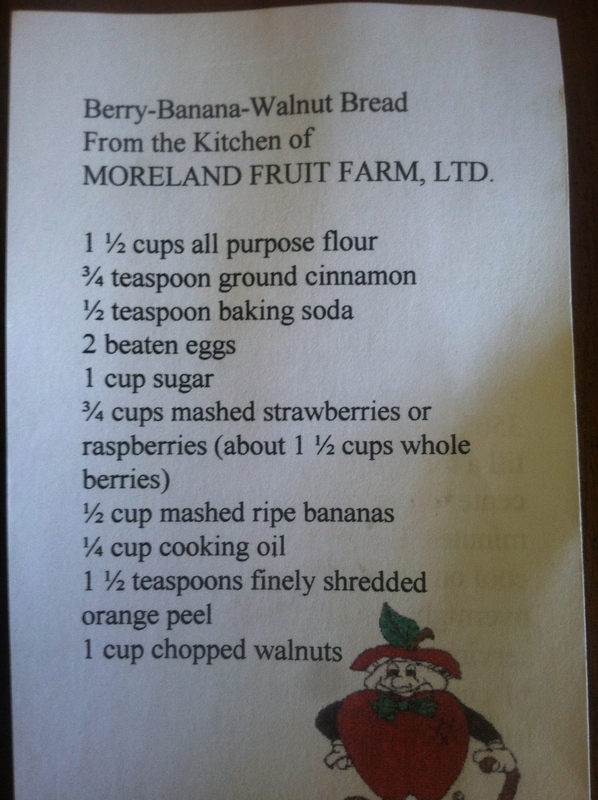 Here is the original recipe from Moreland Farms. 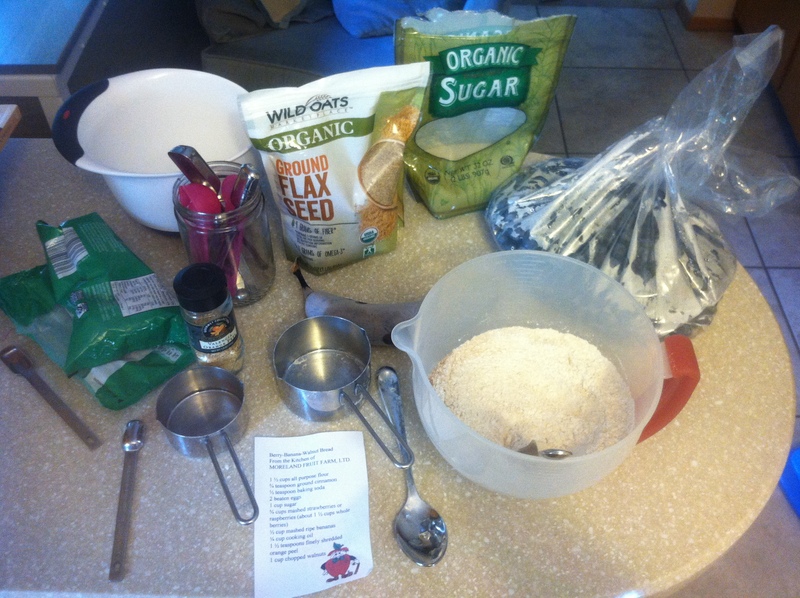 Mix according to the original directions. Bake in muffin pan for 20-25 minutes, or until tops spring back when lightly touched. You can see I changed some of the original ingredients to more healthful choices like the coconut oil, which is my favorite oil to bake with. I’m not vegan (just vegetarian), but I love to bake vegan for the added benefits. Plus I was out of eggs ;-). The banana balanced out the addition of whole wheat flour so that the muffins were dense, but still moist. Great for breakfast or snacking, and sure to please adult and children alike! Enjoy. I agree! 🙂 The plates are a thrift score find! Aren’t the beautiful? I’m such a sucker for pretty dishes :-). Yum! Thanks for the recipe- I’m going to try making these!